In vol. 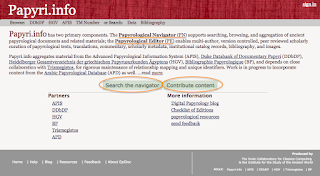 9 of the online journal RIDE there is a helpful review of Papyri.Info by Lucia Vannini. If you don’t know anything about Papyri.Info then this review is a good source for anybody interested in documentary papyri. If you use Papyri.Info a lot there are some helpful points of information. If you are interested in the critical analysis of digital text collections then this is a geek-fest for you. Abstract: Papyri.info, made available by the Duke University, is a text collection of over 50,000 documentary papyri, i.e., Greek and Latin documents, dating back to the IV century BC – VIII century AD, which constitute a fundamental body of evidence for ancient everyday life in the classical antiquity. The collection consists of transcriptions encoded in EpiDoc (a subset of TEI for the representation of ancient documents preserved in inscriptions and in papyri), metadata, links to related resources, and, for some records, images and translations. It also includes a platform for the scholarly community to contribute to the database, whether for the digitisation of already published material or for the proposal of new contributions, with an editorial vetting process. 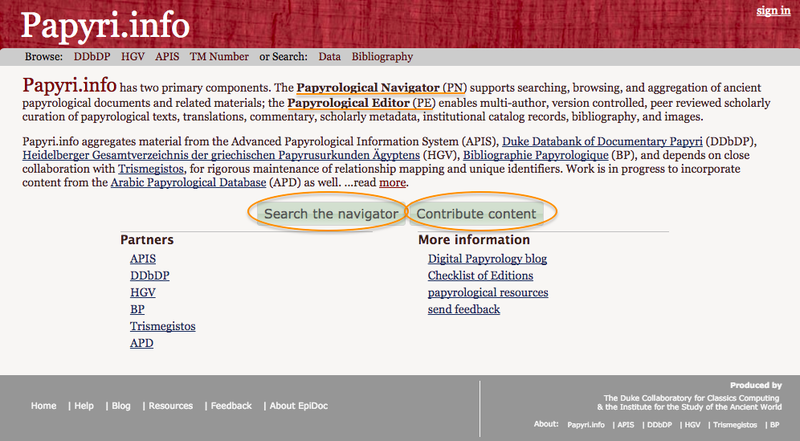 This review aims to illustrate the content of the collection, discussing whether the relevant information is presented in a clear way to the user; to assess the usability of the interface for searching and browsing the papyri; and to analyse the technical aspects of the resource, especially the integration of different databases and the possibility of downloading and reusing the data, while highlighting, for all these aspects, both strengths and features that could be improved.